Whirl needed to step on some bugs. I have some Transformers appearances coming up and figured it was about time I had some bot prints. 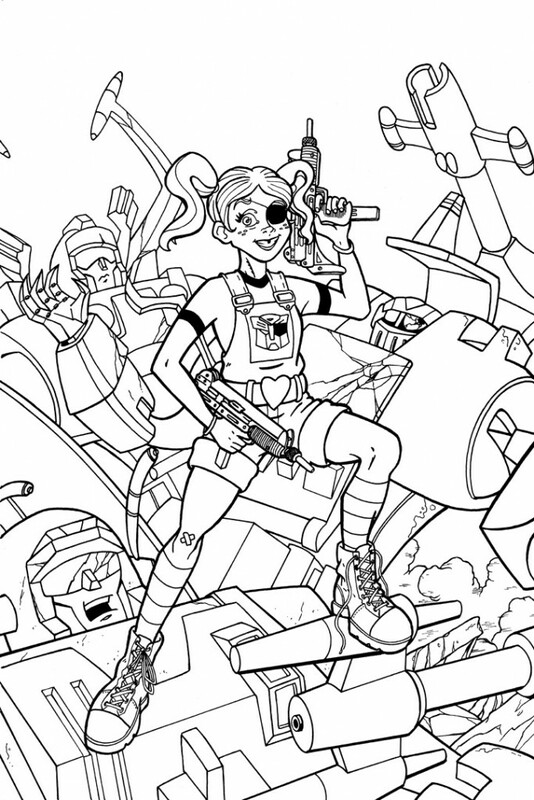 And what’s more fun than a little girl shooting up some Insecticons? Nothing…that’s what! I loved drawing the Uzis. I need to draw more guns. Hooray for violence!